The race for the presidency of FIDE (the World Chess Federation) is heating up with controversy and negative campaigning. In his effort to unseat incumbent Kirsan Ilyumzhinov, former World Chess Champion and Russian political activist, Garry Kasparov, has been accused of buying votes. Ignatius Leong is actually the current general secretary of FIDE under Ilyumzhinov. His agreement with Kasparov represents Leong switching sides in the election. Payments under the contract, $250,000 annually for four years, are to be made by the Kasparov Chess Foundation to the ASEAN Chess Academy, an organization aimed at teaching Chess to children but owned by Mr. Leong. Further, the agreement calls for the opening of a FIDE office in Singapore headed by Leong and additional payments (to be negotiated separately) should Leong deliver more than 15 votes. On the opening day of the 2013 FIDE World Cup in Tromsø, Ignatius and I understood that high FIDE officials possibly had access to the draft Agreement now circulated. I sent it to Ignatius in July, using his FIDE email account. The only way to get possession of this draft is through the administrator of the mail account in FIDE. There can only be political reasons for why this is now made public in such a way. The statement of Morton Sand is entirely false. It is obvious that there is an attempt to drive the discussion away from the substance of this issue, i.e. whether such contracts are ethical or not. For the leaking of confidential documents, Garry Kasparov’s team should perhaps look amongst themselves. How do you know it’s false? 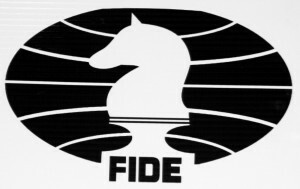 If you have reviewed the logs for his account, why not make them public?… Unless of course you’re just saying it’s false as an excuse to put inappropriate campaign news on the official FIDE site. Again. Ilyumzhinov has also taken to the FIDE website with an open letter calling on Leong to resign. Not that Ilyumzhinov is any stranger to controversy either. He was largely unknown in the Chess world before being helped in to the position of FIDE president by the previous holder of that position, who himself resigned after being convicted in the Philippines of financial irregularities involving the 1992 Chess Olympiad in Manila. Kirsan Ilyumzhinov is the former president of the Russian republic, Kalmykia; claims to have been abducted by aliens; alleges that Chess was invented by aliens; and was a supporter of Libyan dictator Qaddafi.